“@waglenikhil: Now anna hazare starts a week long mounvrat from today! Good for health, good for his followers, but not so good for media! 16 Oct 11 copy & paste +upvote -downvote @ewash22  emoji! “@jahairajuarez: Naturally pretty girls make me jealous. #thatsnotme” whatever!!! Your naturally gorgeous. RT @HeartOfaKilla: @_CocoaDrop why you, keep writing in Chinese? / I'm #teamiPhonebiaaaaatch and you not so you can't see my emoji icons. @ms_junrose @jayrnadela @dynababee bwahahahaha! ur luvlife is soooo public. Si ariel last week. Gensol tonyt. Krissy ang peg. 17 Oct 11 copy & paste +upvote -downvote @ms_junrose @jayrnadela @dynababee bwahahahaha! ur luvlife is soooo public. Si ariel last week. Gensol tonyt. Krissy ang peg. @singerjawan Emoji Buddies????? Follow Back Pleasee?? 17 Oct 11 copy & paste +upvote -downvote @singerjawan Emoji Buddies?????  Follow Back Pleasee?? Just got me some emoji! Let's go! "@SydneySmiles_: @singerjawan Emoji Buddies????? Follow Back Pleasee??" What That ? 17 Oct 11 copy & paste +upvote -downvote &quot;@SydneySmiles_: @singerjawan Emoji Buddies?????  Follow Back Pleasee? ?&quot; What That ? 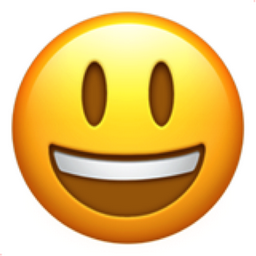 Like Smiling Face with Open Mouth Chronological Emojitweets 23?